For the second day of making Wheat Dishes, yes I managed to bake another bun. 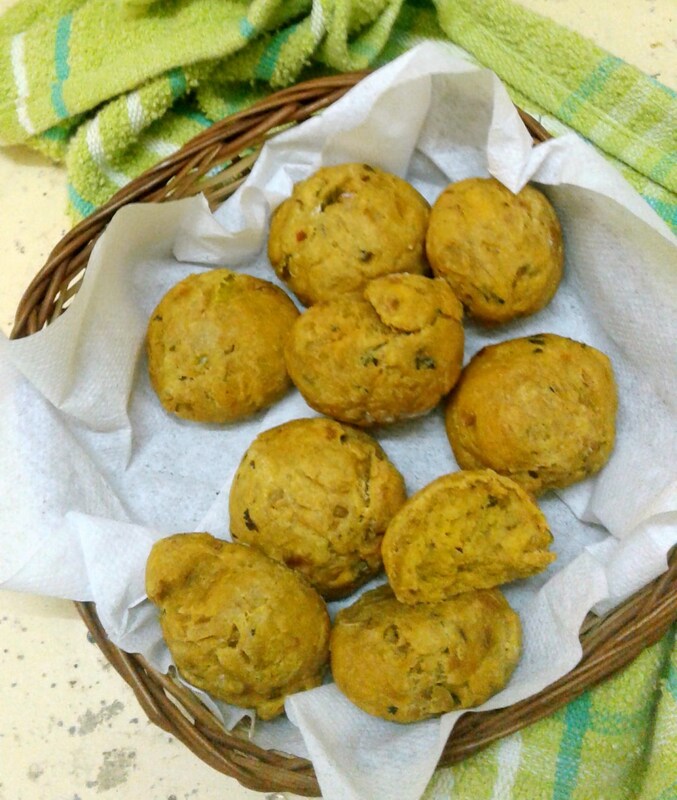 This one can be called a bun or a roll, was completely baked with wheat flour and potato. The decision for baking this came rather late and I was keen on completing it before hitting the bed. There wasn’t enough time and maybe that was the reason why the buns didn’t bloat as much as I expected. However, the baked roll was baked well and have a good texture. The savory part makes it even more interesting and I enjoyed it for my breakfast. This is inspired by Priya Srinivasan’s post. I didn’t change much except maybe added more potato than called for. I am also calling this Vegan as it’s an apt Vegan Bake and a roll as it didn’t turn out to be as big as a bun. Anyway, this makes it apt for a brunch treat as when it is paired with butter, makes a great meal. Sending this to Priya Srinivasan who is hosting my Kid’s Delight, themed on Brunch Ideas for Kids. In a nonstick pan, add oil crackle cumin. Add finely chopped green chilies and saute till they sizzle. Add onions and garlic and saute until translucent. Now add coriander powder, chili powder, and salt. Saute for 2 more minutes. Add coriander leaves, give it a good stir. Switch off and let it cool completely before using it in the bread. MW potato for 4 mins, peel and mash well in a bowl. Add the flour, yeast, salt together to the wide bowl. Add warm water, the cooked masala and start kneading it into a soft dough. Sprinkle water and start to knead to a soft dough. Place the dough in a greased bowl, cover it well with a kitchen towel/cling wrap. Let it rest for an hour or until it doubles up in volume. Once the dough rises well, take it out of the bowl. Punch down the extra air. Knead the dough for a minute. Divide the dough into 8-10 portion. I divided it into 10 portions. Roll each portion of the dough into a ball, by cupping it in your palm and rolling it on the kneading surface. Place the balls on a greased baking tray. Cover them and let it rise for another 45 minutes. Preheat the oven to 185C. Brush the buns with olive oil once. Again brush them with water and sprinkle the sesame seeds on top. Bake the buns for 28-30 minutes or until they turn golden brown. Remove from the oven, let it cool for 10 minutes. Refrigerate the leftovers tightly wrapped in a plastic wrap or aluminum foil. Just before serving, reheat them in a microwave for 30 seconds and serve warm. The buns will stay good for 2-3 days in the fridge. Spicy masala mixed into the dough sounds so good! Great for snacking too. The madala buns sound great , love the spices going in . 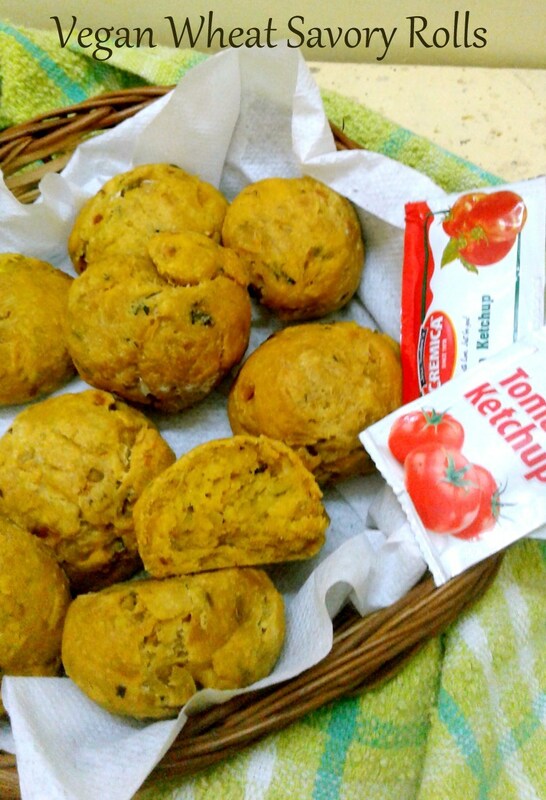 Savoury buns sounds like a evening snack to enjoy with a cup of tea. Those rolls look amazing Valli. They can be eaten at any time I'd say. Spicy masala rolls sound so delicious Valli. That too made with wheat flour, they are healthy too.. I love such masala buns that are mess free to eat. We are car snackers most of the time and this would be something my kids would love. This version of masala rolls sounds interesting too. Shall try these out soon. Wow it has come out amazing valli. Thanks for the mention. These buns are a favorite at home. 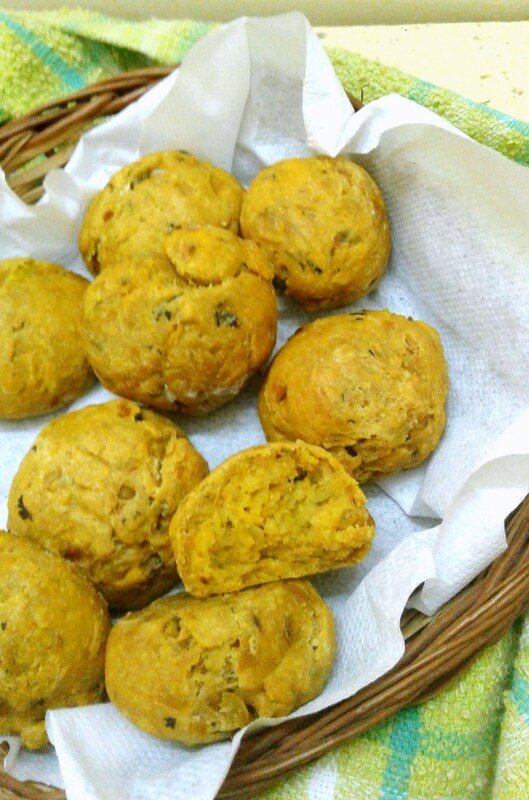 Masala buns looks so sinful. Perfectly baked.